On Sunday 22 October 2017, Australian trains enthusiasts will join together to celebrate the 100 year anniversary of the first passenger train on the Trans-Australian Railway with a history making journey of their own. Completed 17 October 1917, the first train on the Trans-Australian Railway departed Port August for Kalgoorlie and this year, Rail Tours Australia will be retracing the famous railway journey, joined by prominent railway historian and author John Evans. Constructed from 140,000 tonnes of rail and 2.5 million hardwood sleepers , it took crews of rail workers 5 years to complete the 1693km job. 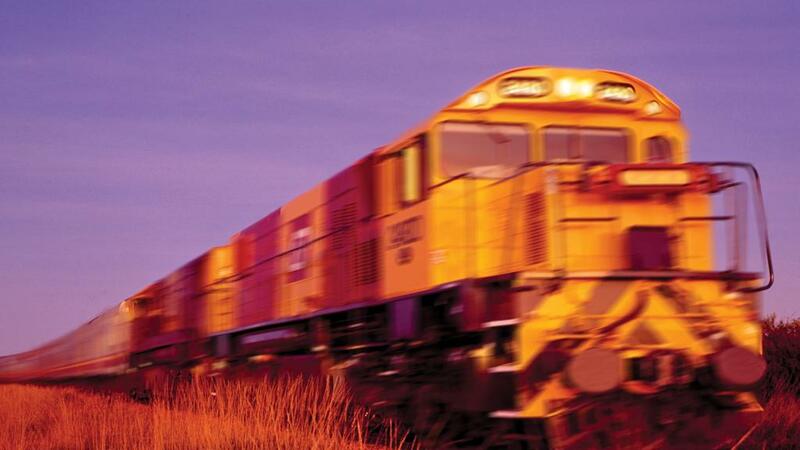 The Trans-Australian Railway was officially completed when at 1.45pm, the rail lines which had simultaneously been constructed from Port Augusta and Kalgoorlie were connected. In celebration of the centenary of the Trans-Australian Railway, Rail Tours Australia are retracing the journey from yesteryear on a 2 day tour following the old narrow gauge railway from Adelaide and through Burra, Terowie and Peterborough all the way to Quorn and Port Augusta. The section of the journey from Peterborough to Quorn will be completed in an all-terrain 4WD coach. Leading the 2 day tour is railway historian and author John Evans, who will provide the unique opportunity to retrace the old railway route before joining the Pichi Richi Railway heritage train. Here, the official celebrations will begin for the centenary of the Trans-Australian Railway including a whole day of organised events and activities. The 2 day tour celebrating the historic milestone that help shaped the history not only of the country’s railways but of the nation itself is priced at $619 per person, however Rail Tours Australia are offering an early bird discounted price of $569 per person for all bookings paid in full before 18 August, so get in quick to experience this unique celebration.